When it comes to the maintenance of your car it is always better to prevent damage and wait to repair the damage that happens due to the prolonged use of your car. Driving your vehicle for too long, not changing the oil at regular intervals, and not paying enough heed to the noise made by the squealing brakes can dangerously harm the condition of your car. Doing the needful at the right times can save a lot of damage and might even save a lot of your money! You should not only rely on local shops and first, but you should also read the instructions manual of your car. #1. Read Your Owner’s Guidebook: though it might not be the most exciting thing to read, your guidebook can provide you with valuable tips to maintain your car. The basic information of auto repair such as, when and how often you need to fill up fluids, how frequently you need to check your car tires, what to do when your engine starts over-heating and how to check the bulbs of your headlights can always be found in the guidebook. #2. Always Keep A Scheduled Service Check-Up for Your Vehicle: never skip the check-up that your car is scheduled for. 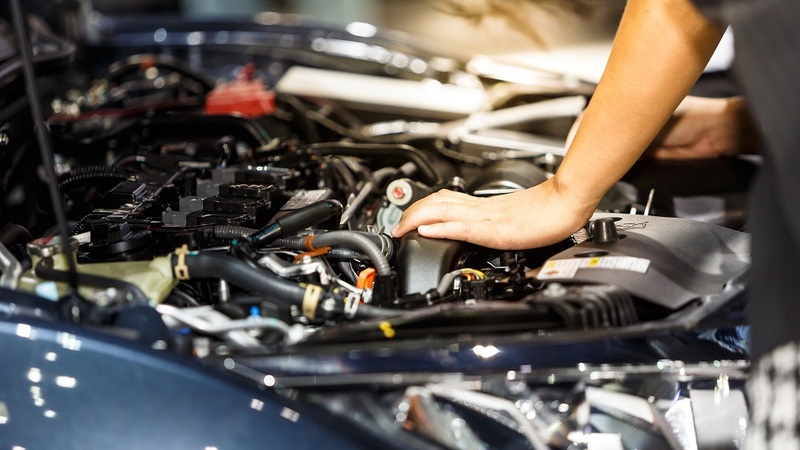 This service provides your car a thorough check-up and gives immediate attention to the parts that require replacement or repairing such as spark plugs and timing belts. This will ensure that you’re getting car parts that are genuine and not fake. Plus, you will get the expertise that your car needs. These services are documented and come in use when you want to sell your vehicle. #3. Basic Car Safety Checklist: Before you take your vehicle to an auto repair center, there are some basic car parts that should be given a proper scrutiny. They include the tension of seat belts, external belts, brakes, windscreens and windscreen wipers, horn, fluids, and tires. While you should see whether your brakes can give your car proper acceleration, you should also make sure that the windscreen is not broken. The brake should always be able to keep your vehicle on a slope. When it comes to fluids, you should always check the coolant capacities and the engine oils. #4. Check Fluids Regularly: a regular check of the level of your engine oil is mandatory. They should be replaced when and as required. Not just your engine oil, replace other car fluids such as radiant coolant, auto transmission fluid, windscreen washer fluid, brake fluid, clutch fluid, and battery electrolyte fluid at regular intervals. This will ensure a lot less expenditure on your vehicle for an elaborate auto repair. #5. Tires: always keep your car’s tire inflated to the right pressure to prevent an auto repair of your car within a few months of your purchasing it. The right amount of air in your tire will not only keep your car healthy for a long time but also reduce fuel consumption by your car. Tire gauges are pretty affordable and if you feel any discomfiture while driving your car, you might have the wrong wheel alignment. It is always advisable to have your tires rotated to prevent any kind of unevenness that might exist. After reading this article you must have understood that it is always better to check problems when they are small. A car or any other vehicle is taken to an auto repair shop when it is irreparably damaged, mostly after a road accident. Regular checkups not only save your car a long visit to the auto repair store but also from a lot of expense!